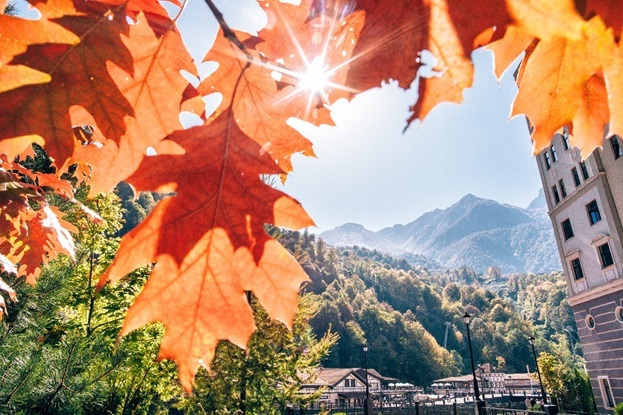 Rosa Khutor resort offers the participants of the international conference «Sustainable Tourism: Global Challenges and Discovering Russia» preferential accommodation in the hotels Radisson, Golden Tulip, Mercure, Tulip Inn, Park Inn and Azimut. You will be sent a link to the preferential booking of hotels immediately after the payment of participation. * October 19 — exciting fieldtrips at the resort and the surroundings! List of fieldtrips. And of course, you will enjoy a beautiful golden autumn in the mountains! We are waiting for you, dear guests!